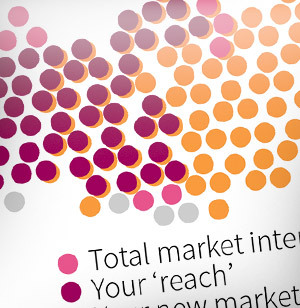 Many newspapers suffer from the problem of 'good enough'. It's a mentality that causes them to never really consider the needs of their readers, and instead they end up with junk. 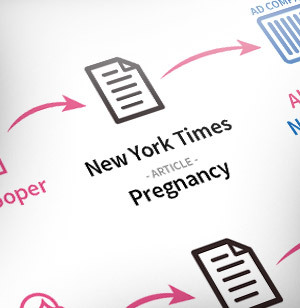 It could be completely solved by just spending a few extra minutes on each article. Take a look at the two newspaper screenshots below. 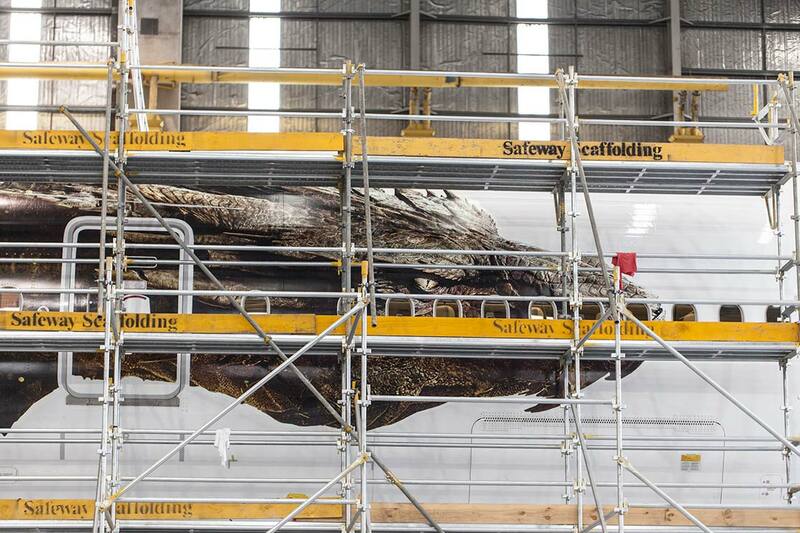 They are both covering the story that Air New Zealand has decorated their airplanes with the dragon Smaug to celebrate the premiere of the second movie in theHobbit trilogy. Note: Both articles are just paraphrasing the press release. 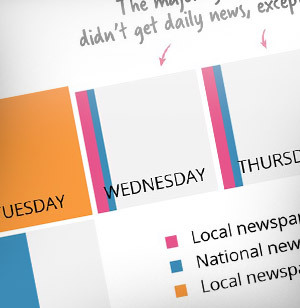 USA Today is doing it right (although it could be even better). 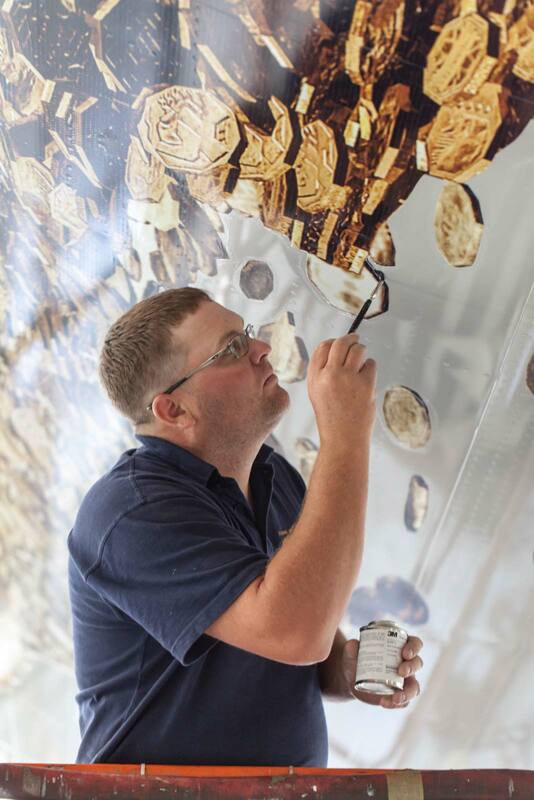 It is showing two pictures of the plane, as well as a video clip showing how it was made in all its glory. This is nice. 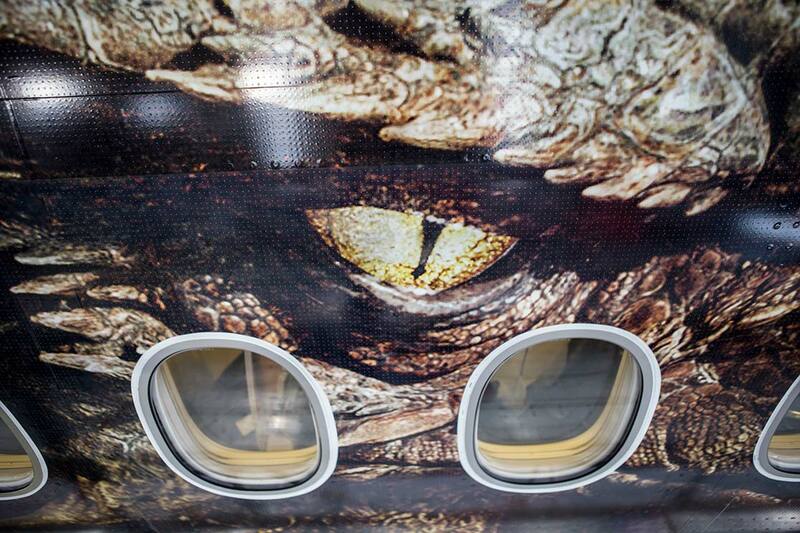 On the other hand, the Danish Politiken (often rewarded for its design), decided to only bring a highly cropped image from which you can't even see that it's a plane, let alone the dragon. Why would they publish an article like this? It has zero value. This is an article about a visual event, and they are not adding any visuals! It illustrates that they don't really care, and that the only reason they posted the article was to get a few extra clicks. They never considered the needs of the reader. 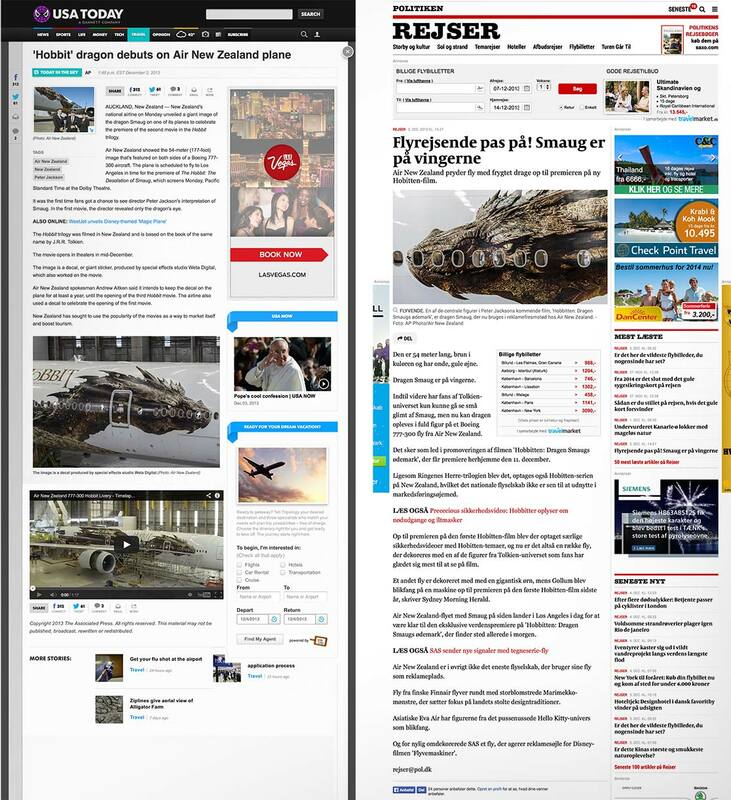 Notice also that USA Today credit 'Air New Zealand' for the use of media, while Politiken credited AP Photo/Air New Zealand. That image doesn't belong to AP. 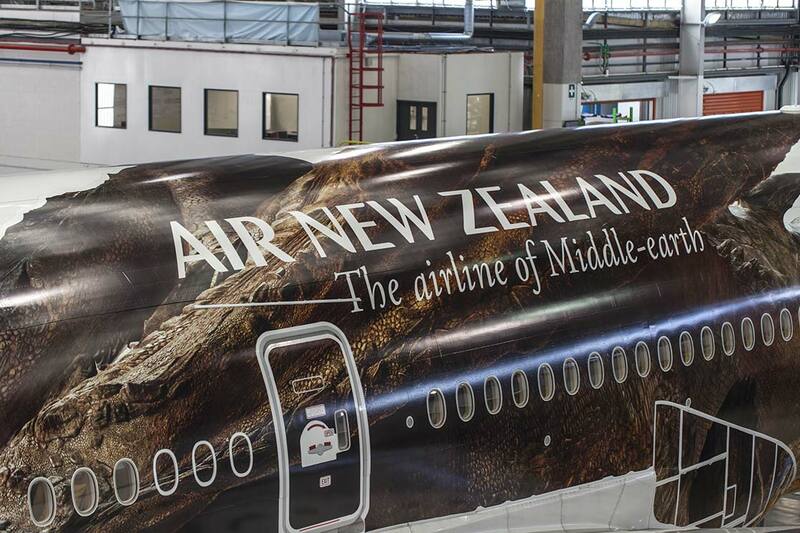 It's from Air New Zealand's press site, which also means that politiken merely copy/pasted it from AP (no effort involved). 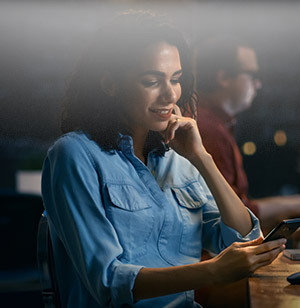 This is crapware. 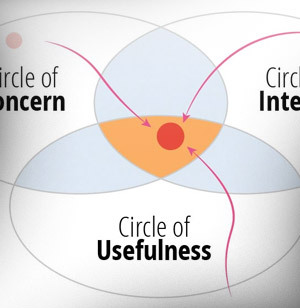 It seems to be a cultural problem inside many newsrooms, and it could be so easily solved by just spending a few extra minutes. 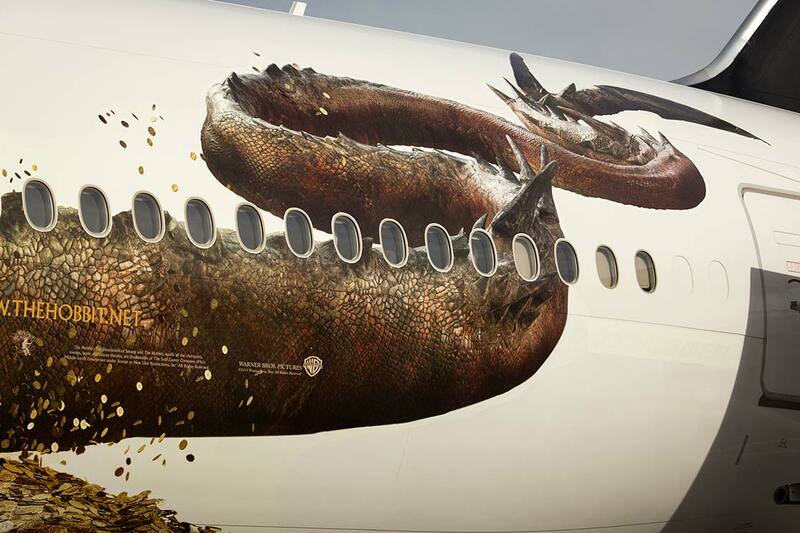 New Zealand's national airline on Monday unveiled a giant image of the dragon Smaug on one of its planes to celebrate the premiere of the second movie in the Hobbit trilogy. 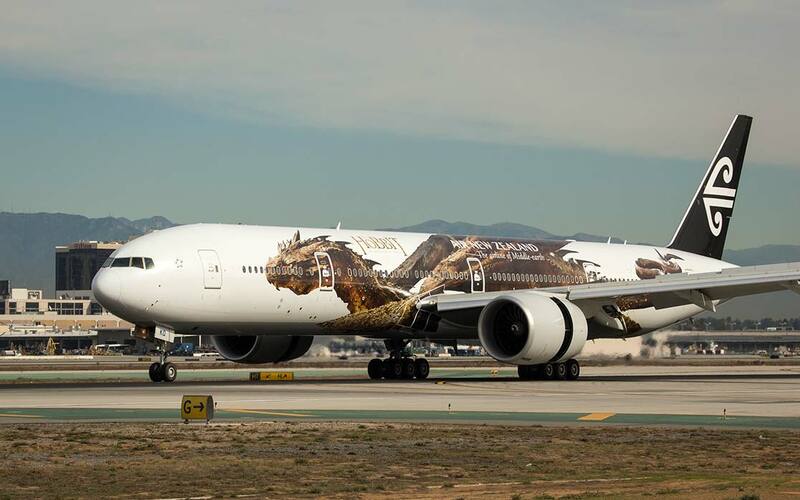 A Boeing 777-300 aircraft is emblazoning the 54 metre (177 feet) long Dragon on both sides. 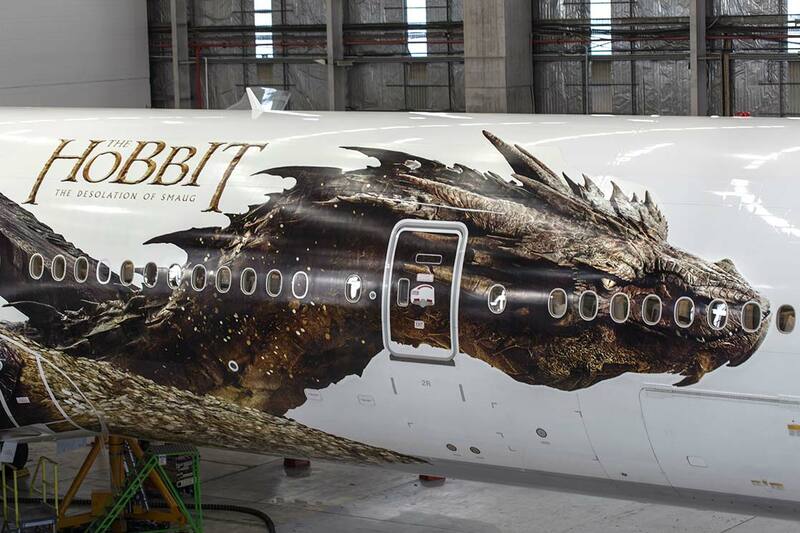 The aircraft is the only place the film's Smaug has ever been shown in his entirety. 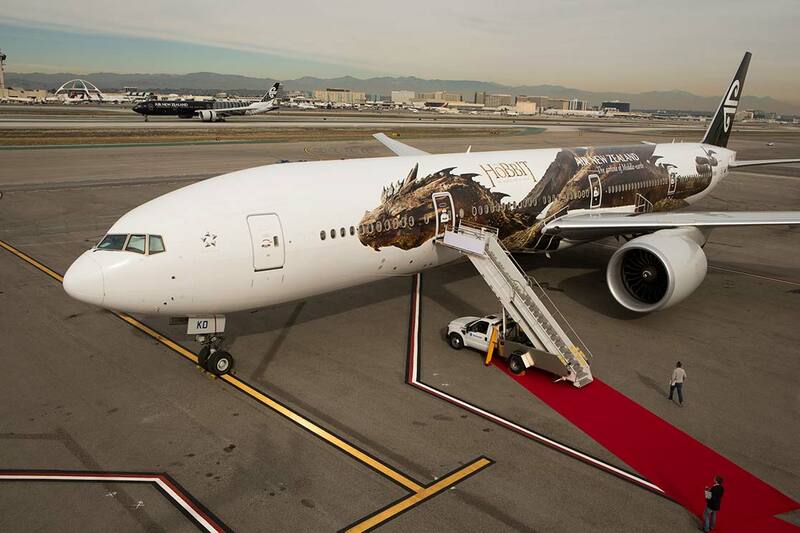 It touched down at Los Angeles airport this morning in time for the premiere of The Hobbit: The Desolation of Smaug, the second film in The Hobbit Trilogy, which will take place at the Dolby Theatre in Hollywood this evening. The first film in The Hobbit Trilogy, The Hobbit: An Unexpected Journey, teasingly featured just Smaug's eye, leaving it to fans to imagine for themselves how the iconic Dragon might look in filmmaker Peter Jackson's mind's eye. 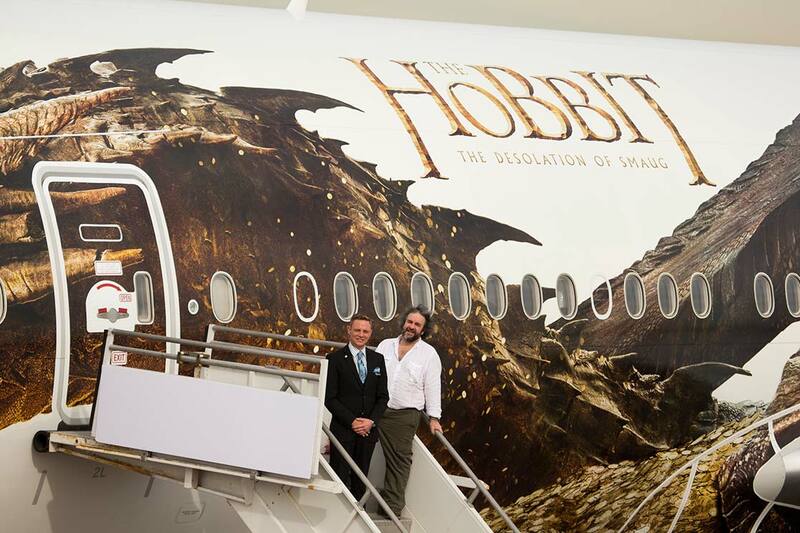 Director of The Hobbit Trilogy, Sir Peter Jackson, says seeing his creation on such a massive scale touch down in Los Angeles is a proud moment. 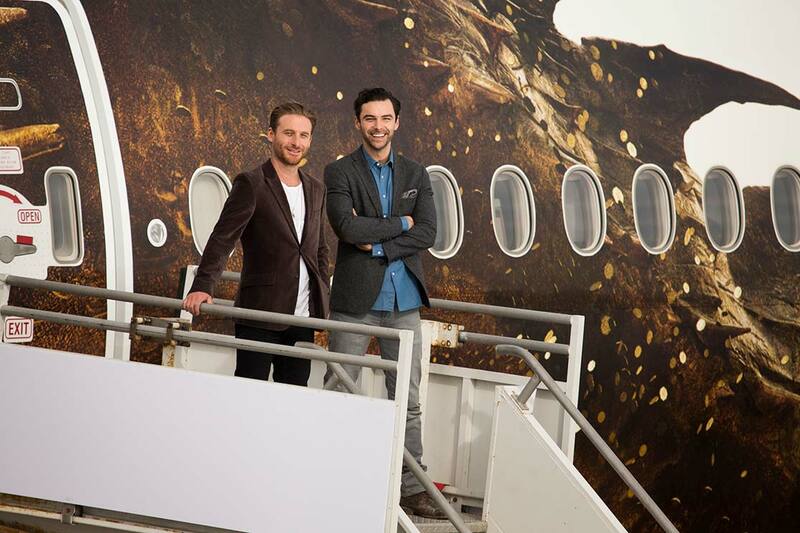 "Seeing Smaug fly off the big screen and into the skies is pretty exciting." 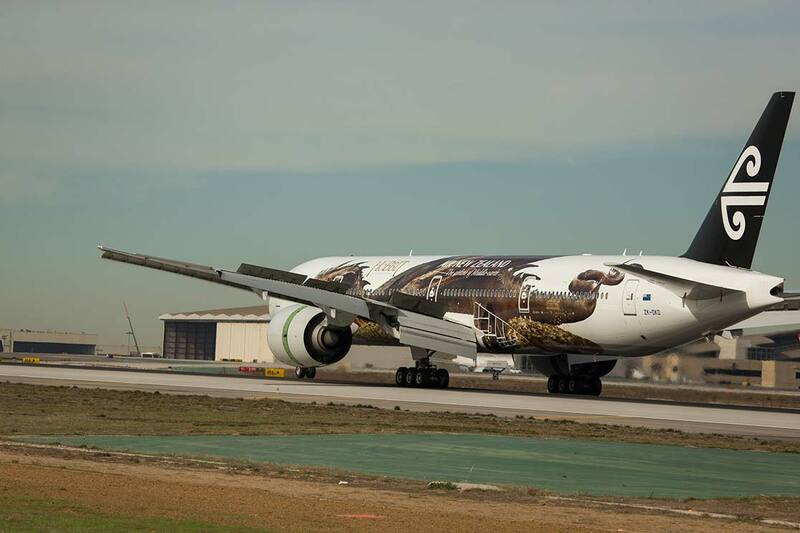 "The first Air New Zealand aircraft features various characters from The Hobbit: An Unexpected Journey and it's extremely impressive, but I think Smaug running the entire length of the aircraft is even more awe-inspiring." 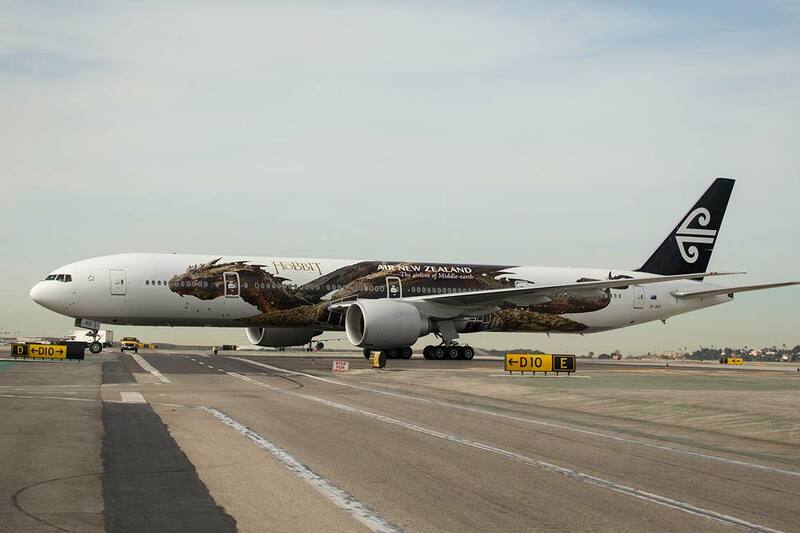 Visual Effects Supervisor Eric Saindon of Weta Digital says designing a graphic which not only fits with Peter Jackson's creative vision but also meets the various specifications required to fit on an aircraft was no mean feat. 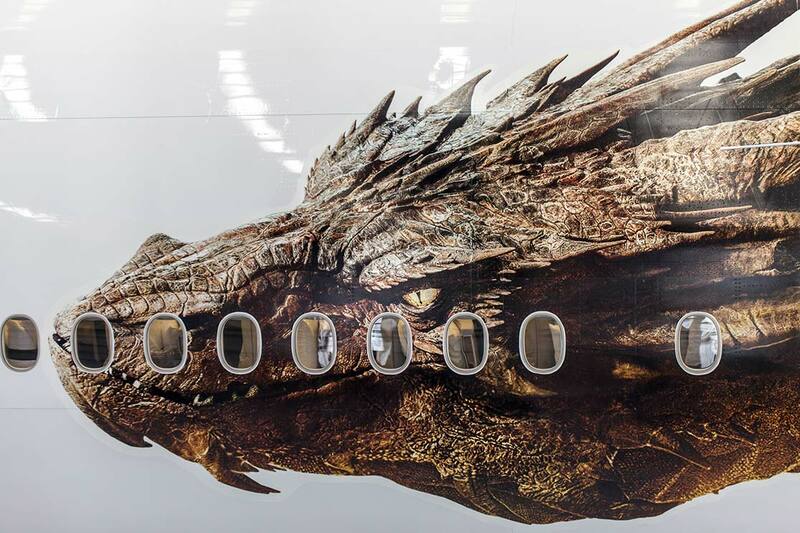 "Capturing Smaug's presence and the amazing detail in his design while accommodating the windows, doors and wing shape was quite a different experience for us," said Saindon. 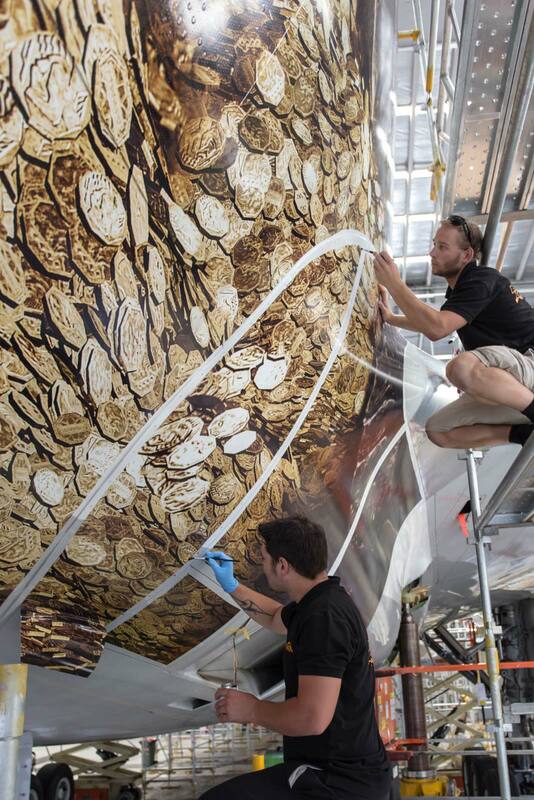 "It was great to see Smaug brought to life, and he appears even larger in the film!" This article only took a few minutes to make. 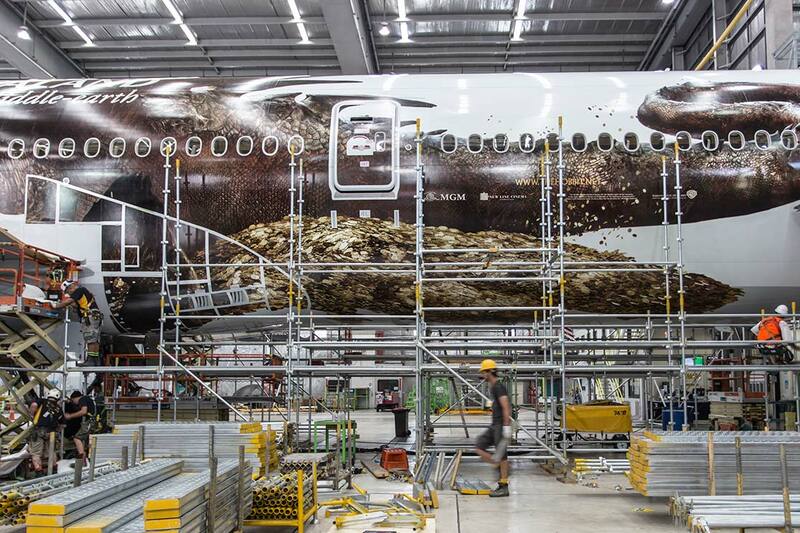 All the video clips are readily available on Air New Zealand's YouTube page. 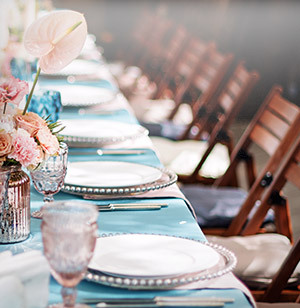 And the images are easily downloaded from their press site. 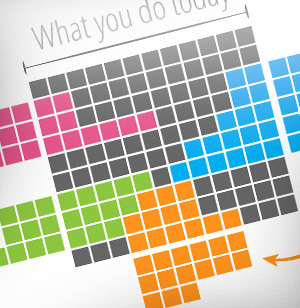 But look at how much better those few extra minutes meant for the story and value for the reader. 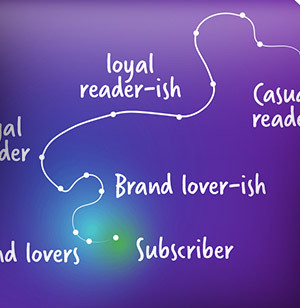 And imagine how much easier it would be to connect and engage with your readers if this was what you were doing. 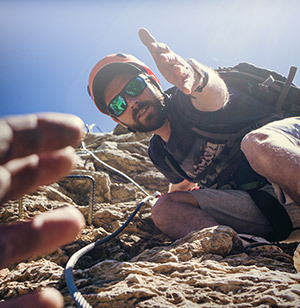 Put some effort into it. 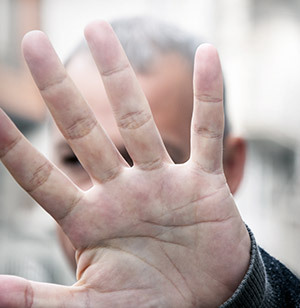 It only takes a few extra minutes, and your readers will love you.